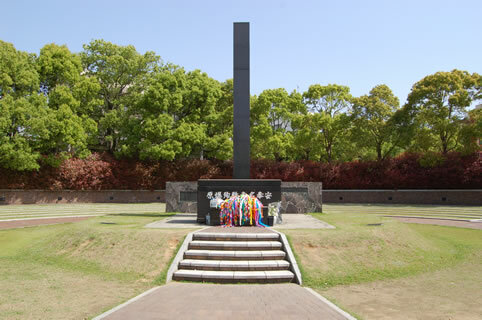 On August 9, 1945 an atomic bomb exploded in the sky about 500 meters above the point where this monument now stands. By the end of December, some 74,000 people had died and some 75,000 suffered from various injuries. The area within a 2.5 kilometer radius of the hypocenter was utterly devastated, and the rest of the city was left in ruins.